Perfect for a baseball fan with a sweet tooth! 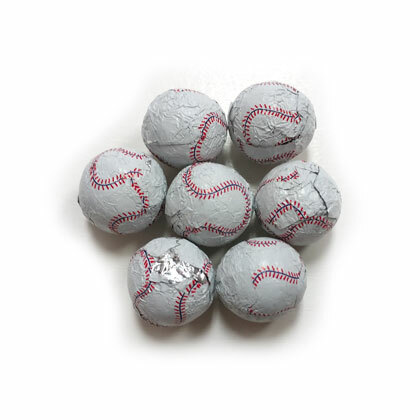 Sold milk chocolate in baseball design foil wrap. Approx .75 inches wide and 6 pieces per ounce. 6 oz.